Booster rockets carrying a Soyuz spacecraft with a Russian and a U.S. astronaut on board headed for the International Space Station failed mid-air on Thursday, forcing the crew to make an emergency landing, Russian news agencies reported. NASA said the spacecraft was making a "ballistic descent" - meaning under the force of gravity alone - toward Earth and that search and rescue teams were heading towards the expected touchdown site. Agencies cited sources as saying that the crew was safe and was making an emergency landing in Kazakhstan where the unsuccessful launch took place. 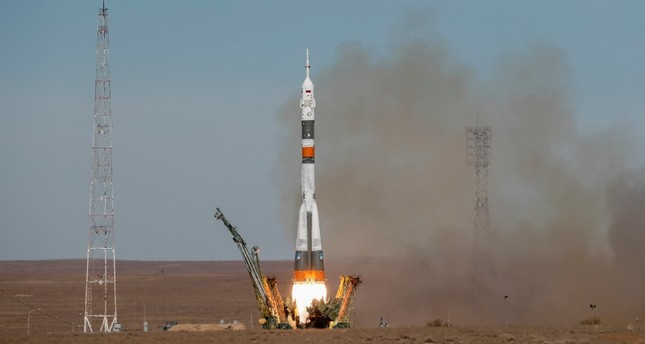 The duo had lifted off from the Russian-operated Baikonur Cosmodrome in Kazakhstan. They were set to join the crew of Alexander Gerst, the station's first-ever German commander, as well as US astronaut Serena Aunon-Chancellor and Russian cosmonaut Sergei Prokopyev. That trio arrived in June.